Along with Nokia Lumia 1320, Electroworld also drops price of iPhone 4s from Php 15,490 to Php 9,990, as part of their Throwback Sale. To give you a quick recap of its specs, the handset features 3.5-inch Retina display, A5 chip, 8GB of internal memory, 8MP iSight Camera, Facetime Camera and iOS7. 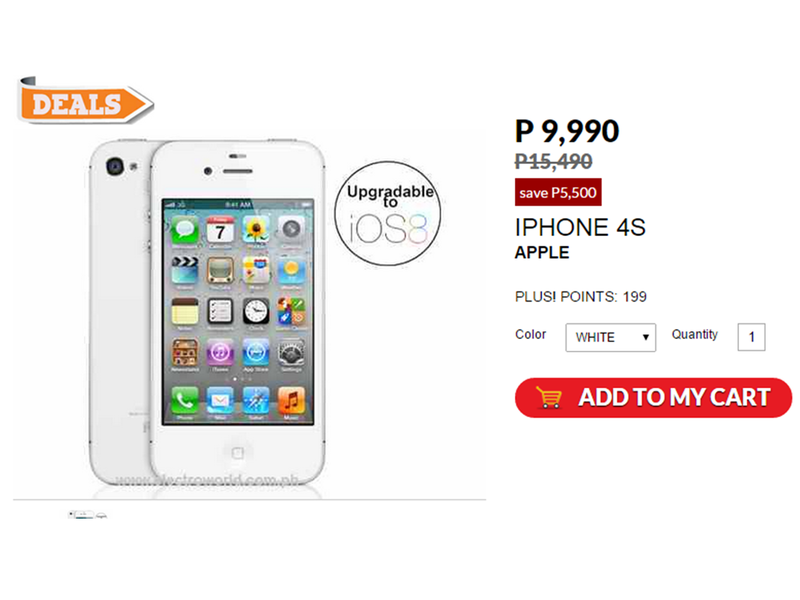 Interested to avail the discounted iPhone 4s? Check out their posting here.